WOW - A 16 Channel NVR with 16 Built-in PoE - The recorder powers all sixteen cameras - No Need for a Separate Expensive PoE Switch! With all the latest Hi-Tech Features, this is the machine to buy if you're looking for Full 1080P Recording on all cameras. The powerful processor can handle a massive 128Mbps, many other 16 Channel NVRs can only manage 40 or 80Mbps, (meaning low quality recording if you have all 16 cameras connected). This NVR is very powerful and it's an amazing low price for all the features it packs. There's no need to buy a separate 16 port PoE power supply, which could cost of €250 and no need for messy connections. All 16 cameras are connected to the NVR and receive power from the recorder through CAT5 cables. Each camera has one standard CAT5 cable connected to the recorder, no more messy wiring all over the place. 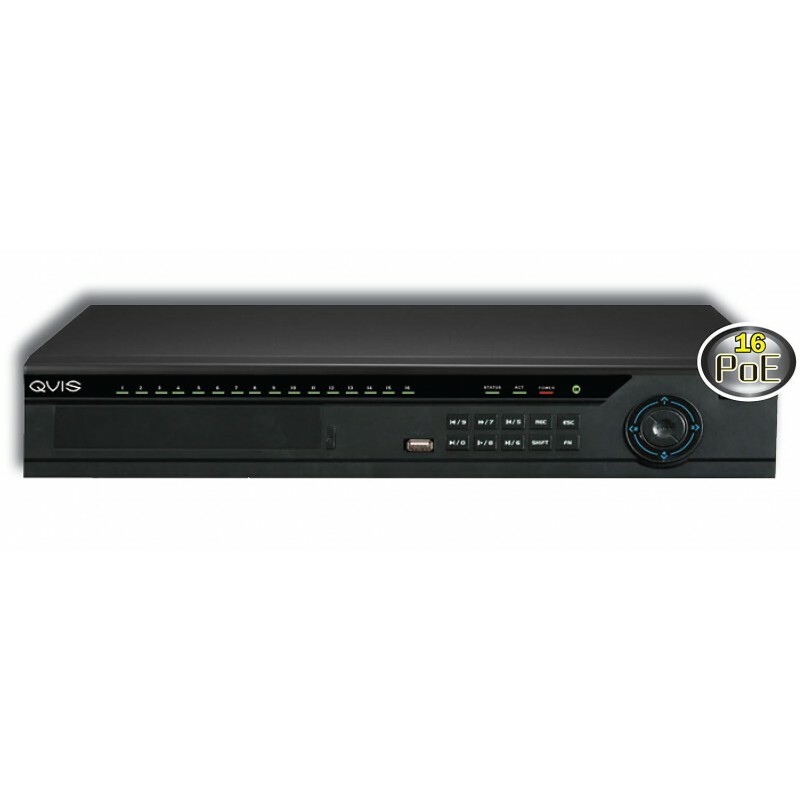 This is a Network Video Recorder for use With Network IP cameras, it can be used with 1.3MP, 2MP and 3MP, (Mega-Pixel), HD Cameras, with between 4 and 10 tens sharper pictures compared to older analogue cameras and DVRs. IP Cameras and NVRs are the future of CCTV, analogue systems are the old techonlogy. This is the 4TB version, it's also available in 8, 12 and 16TB. You need a lot of storage when recording HD Video. We are so excited bout this fantastic NVR!